In honor of Mrs. Cheryl Steinberg’s contributions to Reeths-Puffer Schools and Community, an "Enchanted Forest Library for the Love of Reading" will be installed in the Meijer Trail for everyone to enjoy. Donations to the library project can be made to the 501(c)3 non-profit Reeths-Puffer Education, Inc, 991 West Giles Road, Muskegon MI 49445. I'm really excited to share that we have received an additional $1,385 in donations by check making the total $5,715 to date! That buys a lot of nice materials. We will make something fun and amazing! Join us! So, last night between 2 and 4 I didn't sleep much. I began to think of this project as a way to calm me into my dreamy sleep. 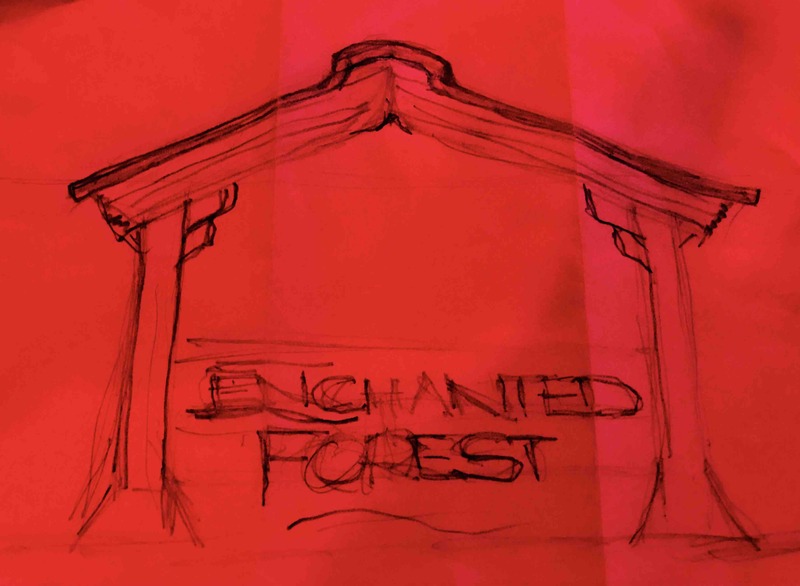 What came was the start of the Enchanted Forest Library pavilion. This isn't a giant pavilion, but a small, cozy one with detail in harmony with nature and reading. This is a sketch I drew in church today. The roof is an open book supported by tree like posts and fairytale corbels. The seating will be book structures stacked as if placed by in a pile on the night stand. I also see stacks of books supporting a bench swing to pass the humid summer air. This will be a place of inspiration, relaxation and reflection. Join us. 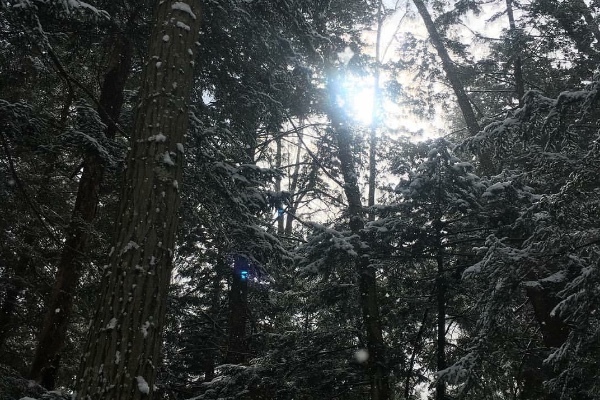 Find the "Run the Spruce with Dr. Seuss" and "The Meijer Trail" pages on Facebook to see some ways the trail is used today! This donation is from all your best girlfriends, Erika. We love you so much and know how much this would mean to your mom. We miss her! A beautiful tribute for Cheryl and her family. Thoughts and prayers to the Lindsay, Erica, Mark and families. Cheryl touched all she met so positively. She will be so missed. Hugs!